© Photo by Carla Sullivan. 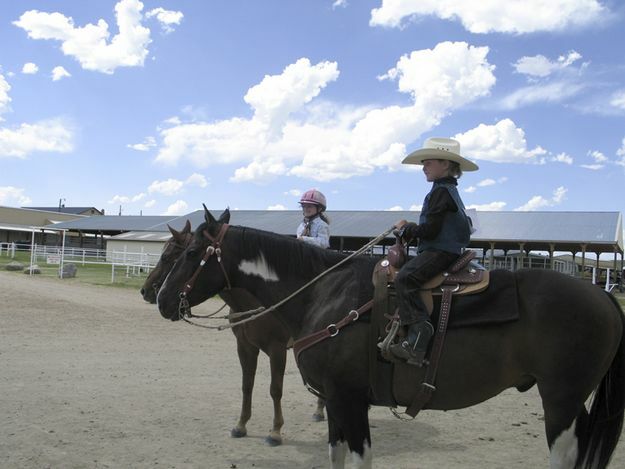 Left to right: McKenna Quirk and Molly Sullivan are ready for their 2008 Western class. Open horse shows at the Fair welcome contestants of all ages. Photo by Carla Sullivan.